First of all lets tackle that big question – what is the correct spelling? You may know it already but I have spotted so many different ones on manufacturer’s packaging, restaurant menus and even in the supermarket that it’s hard to know for sure. a thick paste or spread made from ground chickpeas and sesame seeds, olive oil, lemon, and garlic, made originally in the Middle East. Once you have the basic recipe you can add or remove ingredients to suit your taste. Just add a bit of olive oil or water if the mixture is too thick. Have fun. 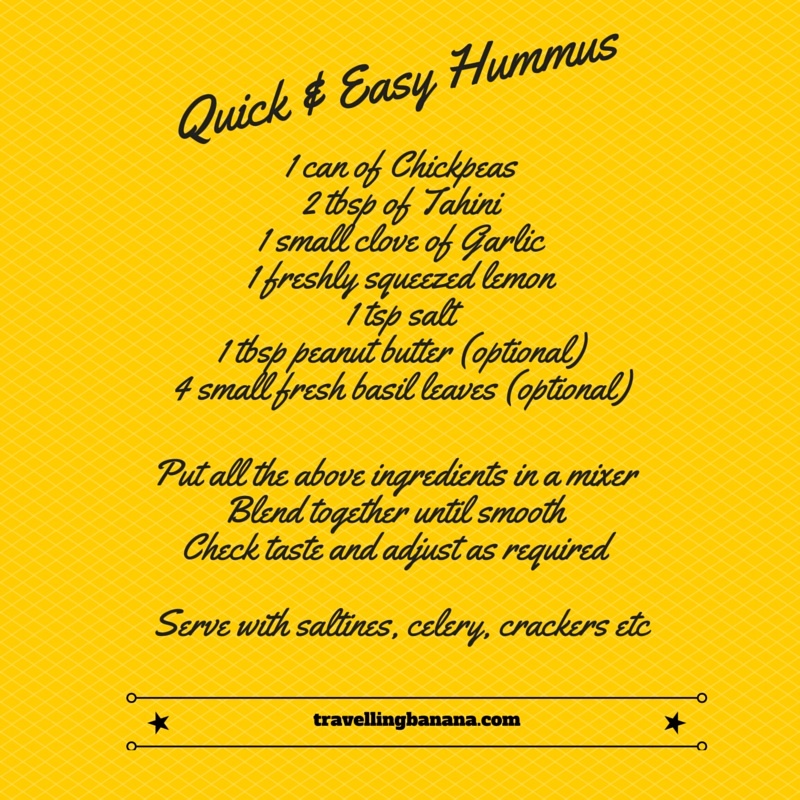 There are lots of ways to serve Hummus – warm pita bread, carrot sticks, veg – how do you serve yours? Actually, I just grab a spoon and voilà! Peanut butter, really? Sounds like genius! 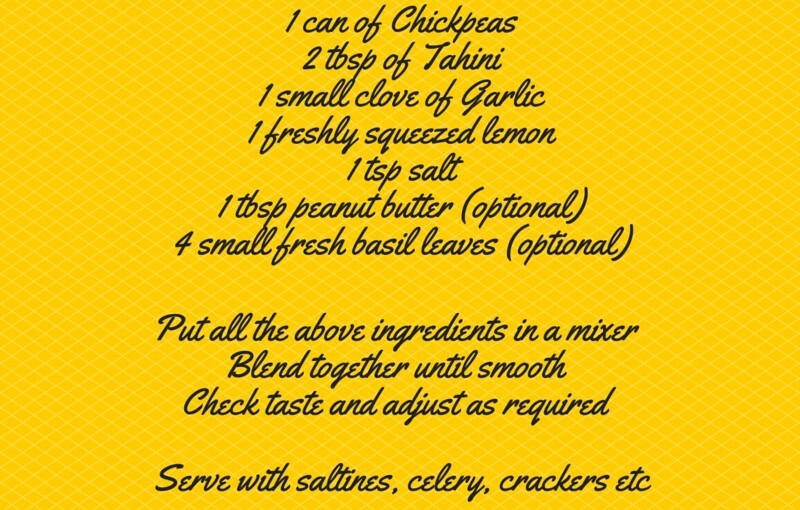 I use chickpeas, garlic, cumin, salt, olive oil, lemon juice, and water. Nice one – it’s fun to experiment with different flavors. Yes pop some peanut butter into your next batch and see what you think. Enjoy! Next Next post: Wisdom Wednesday – Faith or Fear?